Check Hawaii Public Holidays and Designated Days observed in the year 2017. Check 2017 legal state Public Holidays observed in the Hawaii. If the holiday falls on Sunday, then it is observed on following Monday. 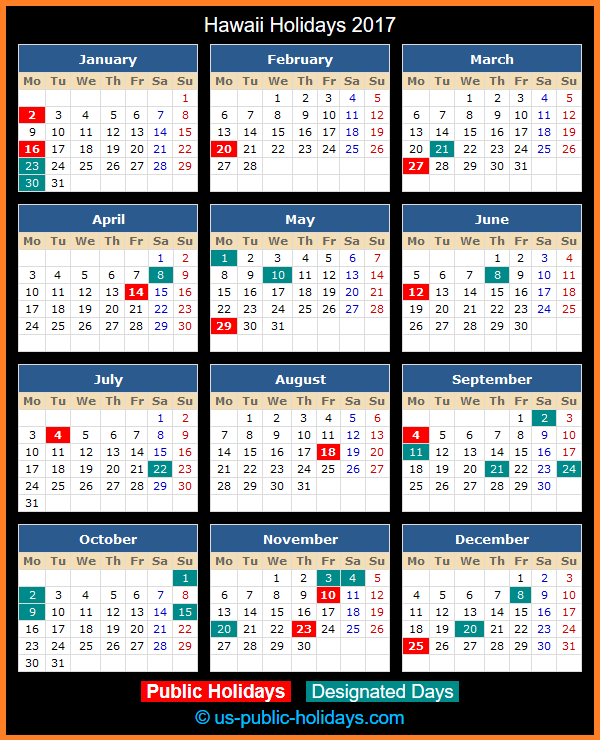 If Holiday falls on Saturday then it observed on preceding Friday. Check 2017 Designated Days observed in the Hawaii. Check 2017 Observed Month in the Hawaii.